Shanghai Rendezvous is an interview series for women in data of Shanghai. Inspired by ‘Superwomen in Data’, we feature exceptional women in the digital space. Superwomen in Data is a series of innovative conference on digital topics. A team of exceptional women noncontrollable the event as a venue for sharing their valuable experience in the digital space. This week, we feature Elsa Wang, account director at Robin8, Shanghai. 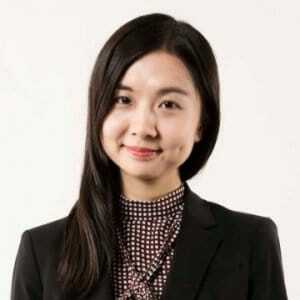 I’m Elsa Wang, Account Director at Robin8. I work with our team to manage influencer campaigns for brands such as Macy’s, Nestle, EF etc., and agency partners such as Publicis, WPP and Ruder Finn etc. Furthermore, I am a strategic marketer with an eye for consumer insights and a passion for digital marketing. I love to share my experience and insights on social media and currently has 5K likes on Zhihu. I was born and raised in China and got my MS. in Integrated Marketing from New York University. How did you get into the digital/data industry? I chose the concentration in digital marketing for my master degree and I saw all the advanced marketers were looking for data driven solutions. From paid media to earned media, we talk about impressions, CTR and clicks all the time. We rely on data to do prediction and optimization. However, influencer marketing is still in the old fashion way as it seems non-controllable and hard to predict. At Robin8, we use artificial intelligence and big data to do influencer profiling and the better match with brands. Do you consider yourself as having been a geek in school? Growing up? Today? Not really. I enjoy life as everyone else does. I think having experience in different lifestyles and engaging with different people are quite important for marketers to understand different marketing situations. I am not a geek but I keep independent and critical mind and sometimes being considered “too critical”. Back to school, my brand strategy professor said: “I have nature ability to interpret consumer behaviour and understand strategy”. Actually, the “natural ability” is not natural but coming from the interpretation of relevant data and observation from everyday life. Can you introduce your company and how the idea was born? Miranda Tan, our CEO had two PR agencies in the US and helped hundreds of companies to build up their brands. However, she saw this manual and labor intensive industry has to be changed. Therefore, she founded Robin8 in the US and brought it to China. We match influencers with brands based on artificial intelligence and data analysis. Instead of manually picking and choose influencers, our recommendation engine will tell you which ones are relevant and best fit for your campaigns. We match influencers with brands based on artificial intelligence and data analysis. Instead of manually picking and choose influencers, our recommendation engine will tell you which ones are relevant and best fit for your campaigns. What are your bigger success and failure in your professional life? I got a little taste of excitement being a blogger from my post on Zhihu. One of my early commentary about Uniqlo Scandal got 1000 likes over one night. All the sudden, I had new followers every minute. Multiple Media reposted my post even without telling me. One of my funny experiences is I treated the client from media agencies the same with what I treat clients from PR agencies. For PR agencies, they look for engagements as KPI but for media agencies, they would consider more metrics such as CTR, CPC etc. And the definition of social media is a bit different from media concept. Then client was confused and super mad at me. What does it take to be a “Superwoman in data”? In marketing, analyzing data is one part, interpreting data is also very important. Compare to men, women is perceived as intuitional but less logical. In the data world, we need very strong logic to interpret data. Why do you believe people see you as one? Maybe because Robin8 is leading the data revolution in influencer marketing and we believe every internet user can benefit from data. You live between Shanghai et New York. Do you feel differences about the place of women in the society? Particularly in your professional environment? Before working women in China were perceived weaker than man but now is getting quite similar. Women in China tend to follow a steady career path but women in New York tend to have more freedom in career: they may jump into complete different fields just because of interests. Your better advice for women? Be bold and speak out what you are thinking. 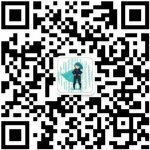 To know more about the event “Superwomen in data” on 22nd of June in Shanghai. Scan the QR Code below and follow them on WeChat. Or register directly on this link.